Palette shortcuts are one of wysiwyg’s most powerful features, yet they are quite often overlooked. In this month’s first tip we’ll look at just how easy it is to use them, and how they can make your work in wysiwyg a little easier. Much like on a lighting console, Palette shortcuts in wysiwyg record colour mix information, making it easy to apply to other fixtures that may need the exact same colour. But that’s not all: when you apply a Palette to a fixture with a non-colour-mixing scroller attached, the scroller moves to the closest possible colour in its gel string. Similarly, you can apply a Palette to an automated fixture that doesn’t support colour mixing, but has at least one colour wheel. 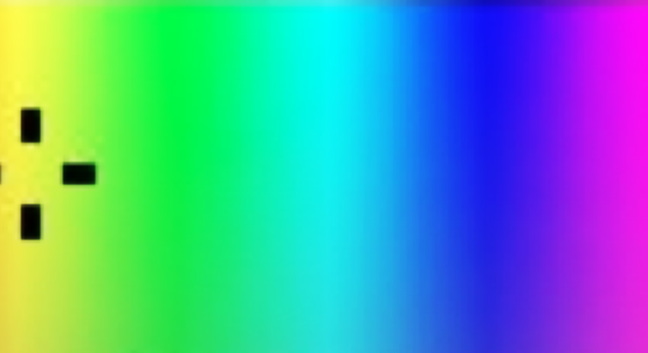 In this case, the colour wheel moves to the colour closest to the one defined by the Palette. And if the automated fixture doesn’t support colour mixing, but has two colour wheels, if necessary, both colour wheels will be used to “mix” to the closest possible colour defined by the Palette. In Design mode, select the fixture (must be a single fixture) on which you mixed the colour that you wish to record. This can be any automated fixture with colour mixing capabilities or a conventional fixture with a colour-mixing scroller attached. Click the Palettes shortcut button. Right-click in the shortcut area and select New Palette. Result: The New Palette window appears. Select the fixture or fixtures to which you wish to apply a colour saved in a Palette. Remember that the fixture(s) must support colour mixing, or have at least one colour wheel; conventional fixtures must have a regular or colour-mixing scroller attached. If necessary, turn the fixture(s) on using the Intensity Designer Tool. In the Palettes shortcut area, click on the Palette that you wish to apply. Result: The fixture’s beam turns to the colour stored in the Palette. With wysiwyg’s Colour Designer Tool in Design Mode, you can easily create a colour mix that matches any gel in the wysiwyg Library by simply clicking the Library button. This colour mix into a Palette shortcut to reuse it at any time, rather than clicking the Library button again and searching for the colour in the Library. Palettes can also be extremely useful when an AutoFocus-capable console is connected to wysi- wyg. Just as colour mix information can be sent to the console by clicking and dragging in the Color Designer Tool in Live mode, so too can the colour information stored in a Palette shortcut. With one or more fixtures selected, simply click on it in Live mode to send the information to the console.